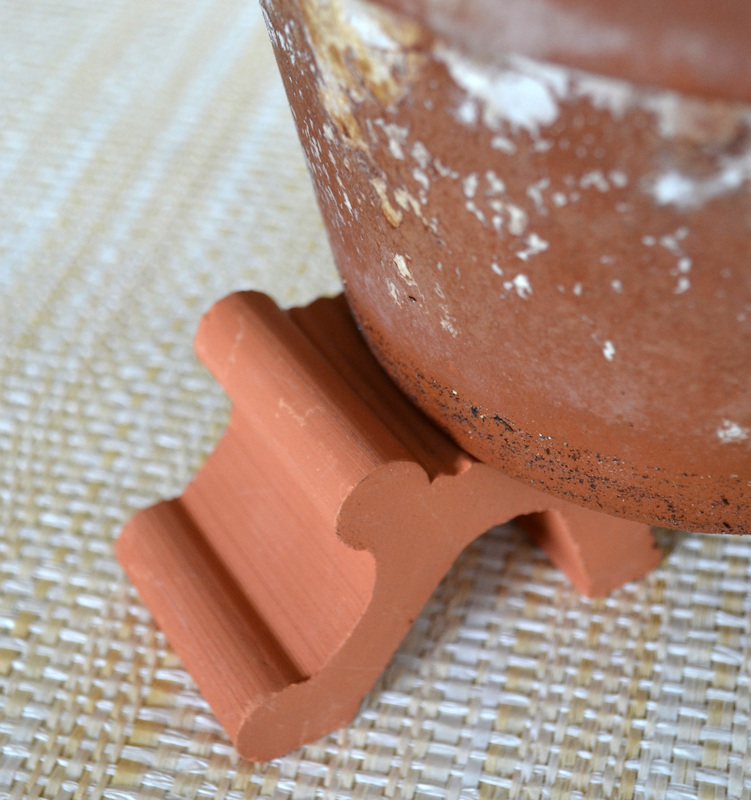 The Victorian Stye terra-cotta pot feet are sold $8 EACH. They are twice the size of the cat and bird pot feet. They hold the largest pots and if the pot is a square one, you will need 4 of them. Very large, straight-sided pots require only 3. The pot feet lift up large pots for good drainage. These are made from high fired terracotta from UK. Sold by the Each...$8.